How to Pass a Hair Drug Test - Hair follicle drug shampoo , beat hair follicle drug test using the Zydot Ultra Clean or The Ultra Klean Ultra Cleanse pass hair drug test shampoos! Hair follicle drug test shampoo. Detoxification of drug residues in hair has been made simple with Zydot Ultra Clean hair follicle drug test shampoo. Pass a hair drug test by rinsing your hair with this hair drug test shampoo and you will beat a hair follicle drug test as long as it is done within 4 hours of application. The good thing about hair follicle drug test shampoo is that it is safe for all types of hair and does not harm your scalp. There will be no damage to color or specific gravity of your hair and you will pass hair follicle drug test without any problems. Ultra Klean Hair Cleansing Shampoo & Conditioner has been specially formulated to remove all toxins from the hair shaft and help you pass a hair drug test. You will not find a better hair cleansing shampoo in the market today. 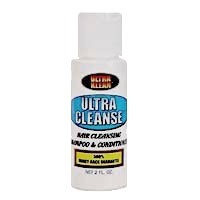 As with all our products, we back Ultra Cleanse with the industries only 500% Money Back Guarantee! You Will Pass a Hair Drug Test With Our Shampoo!